The feasibility study for the University of Arizona Hillenbrand Softball Stadium renovations involved the investigation of the entire stadium complex. Concept designs and cost estimates were provided for upgrades to improve the player and fan experience for the University’s nationally recognized Softball program. 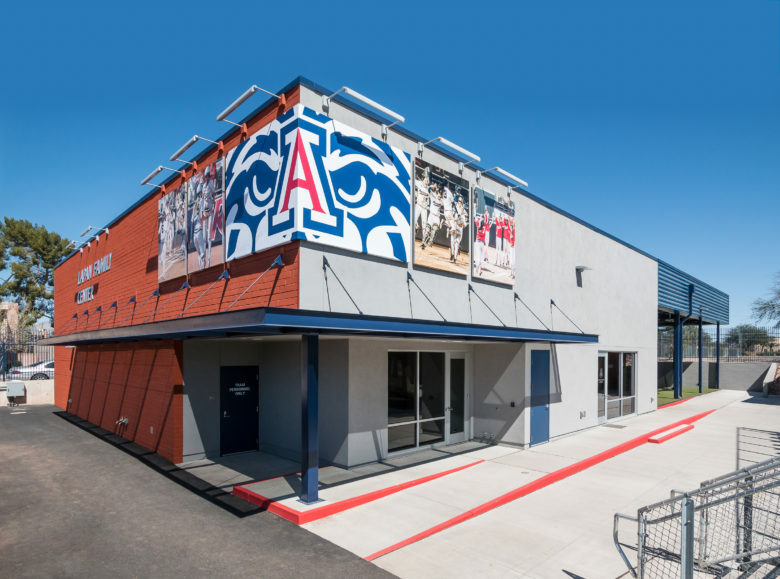 The first phase of the project, completed in 2015, provides a new field house and batting cages to aid in player development and recruiting while trainer area expands within the old facility. Phase 2 will include a complete upgrade of the stadium entry to improve the arrival sequence and public image of the stadium, adding a shade canopy and premium seats behind home plate for fan comfort, replacing the press box to improve conditions for media and staff, and upgrading the dugouts with player amenities. The concepts were developed to enable improvements to be phased over time as fund raising progresses. This entry was posted on February 20, 2018 by swaim_admin.